Births Mary (Mackie) Adarine was born in 1796. Elizabeth Alexander (Hemphill) Morrison was born in 1828 in Old Fort, North Carolina. Births Sarah (Morrison) Hemphill was born in 1778 in Silver Creek, North Carolina. William Camille Chable was born in 1878. Deaths Radford Asberry Ellis died in 1863 while serving in the Civil War. 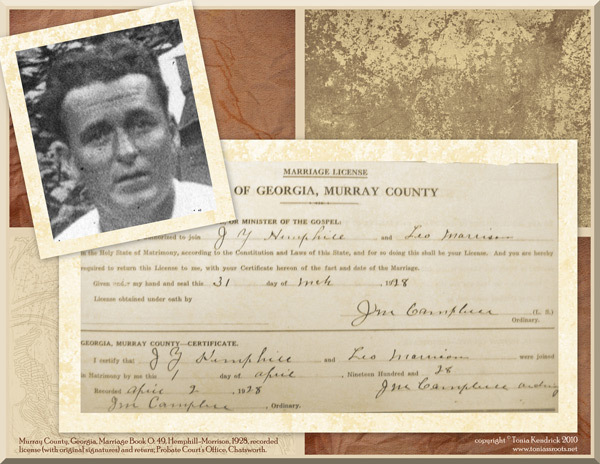 Marriages Elizabeth Jane Brookshire and Cyrus Long were married in 1869 in Gilmer County, Georgia.